Halaal Mexican food is not always that easy to find. 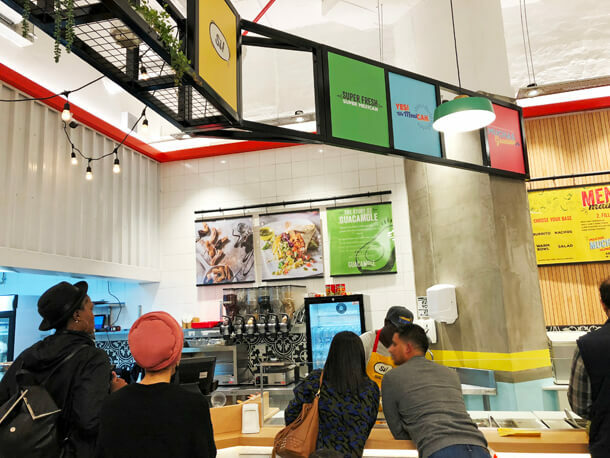 Except for the mexican menu options at Spur and recent arrival of Tortilla Modern Mexican of which there is only one halaal branch options have been kind of limited. We now have a new player in the market. 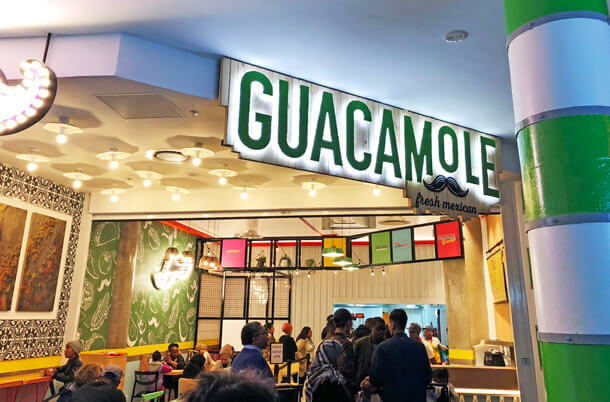 Guacamole Fresh Mexican at Canal Walk is offering an authentic Mexican experience, fast food style, and by the queues there this weekend, I reckon they are here to stay. We dropped by on Sunday for a quick pick up on the way home. Mistake! How on earth was I going to eat Nachos that had gotten cold. Suffice it say, it was eaten on the way in the car. But I’m getting ahead of myself. 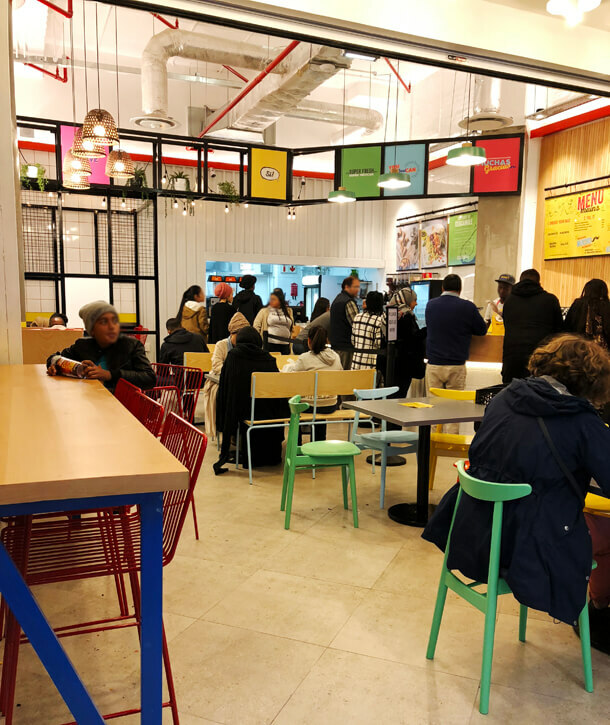 The deli style, build your own eatery can be found in the Canal Walk shopping centre food court. It is bright and colourful with a few tables for eating in. The menu is quite simple. 4 Bases to choose from, either Burrito, Nachos, Warm Bowl or Salad. Fill it with your choice of protein (vegetarian options are available too). Top it with an array of topping choices and pay. Prices from R65 for veg to R70 pulled beef. 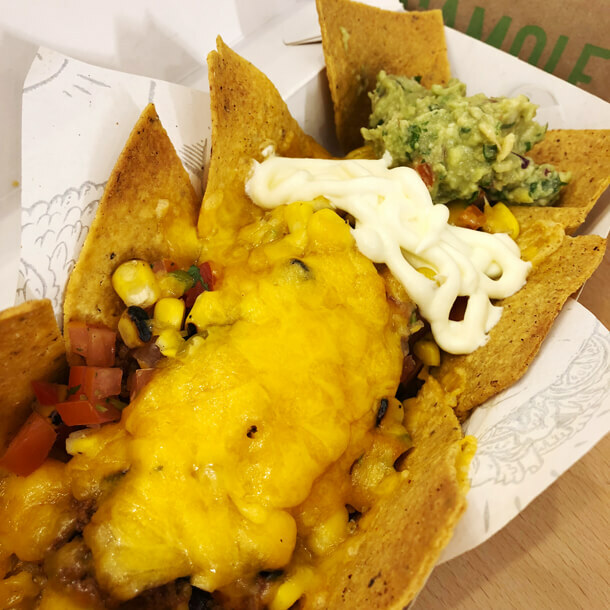 We bought a nachos with chilli con carne mince. I topped it with jalapenos, salsa, corn, cheese, fresh coriander, guacamole and sour cream. They put this under the grill to melt the cheese. 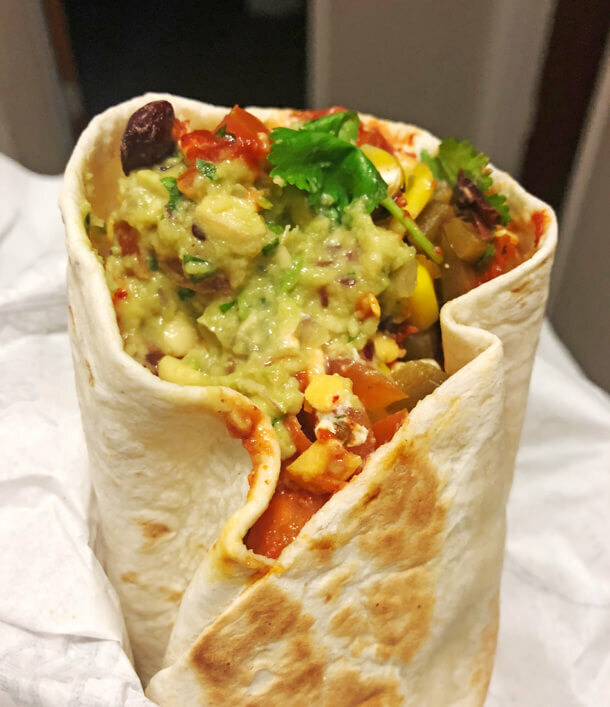 Also a pulled beef burrito with rice, corn, refried beans, chilli sauce and of course guacamole. The nachos used proper corn nacho chips, so it doesn’t get soggy as quickly as them Dorittos. The mince was ok, but I felt lacked a bit of flavour. But on the whole I really enjoyed this dish. The Burrito was also good, also more on the mild side. The only thing about pulled meat is how you sometimes get a big stringy piece in your teeth and it pulls half the filling in the burrito out with it. Otherwise, mucho enjoyable. For a takeout meal, R70 for a burrito is a bit expensive. But it is in the same region as what Kauai charges. Although, Kauai does use free range chicken. The nachos portion at R65 is perhaps also a tad small. I would buy again but not that often. They have some side options like mexican slaw, and cup of corn and kids size options too. Sadly the homemade mexican lemonade was finished so I didn’t get to try it. And for a sweet ending they have Churros with chocolate sauce at R25. We absolutely loved the food (very healthy and fresh) and the the service was excellent. The staff is friendly and very hardworking. The manager is a bonus to this little shop. ! Well done! Nothing unique, no flavor or rather tasteless. Dissapointed and defintely not worth the cost. Somehow I couldnt edit the star rating… 😐 I rate it as 1-star. 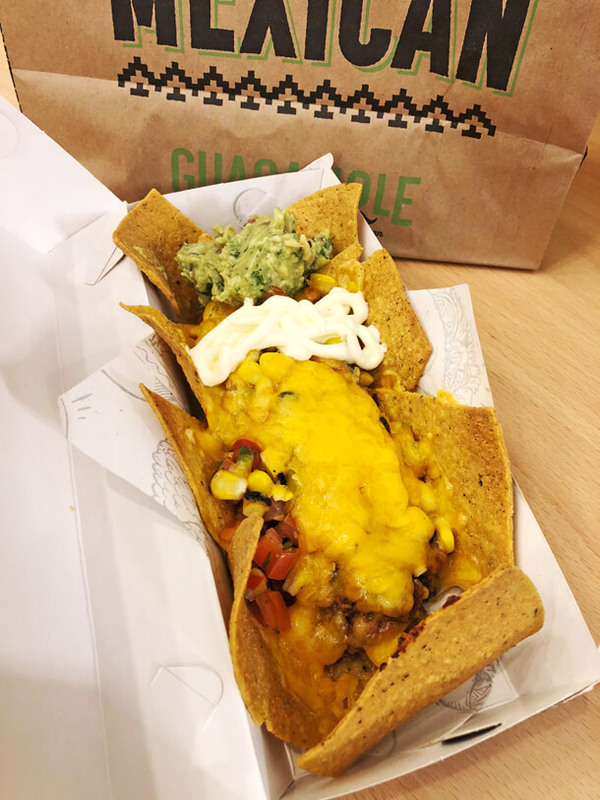 They are very stingy with their nacho potions – they literally give you 8. Had to purchase addional. Staff are slow and work at their own pace. I was the only one there and waited 10 – 15 minutes just to place my order and pay.